As you weigh the options for your upcoming wedding, you may go through all the opulent choices in the big city. While you’ll find many venues throughout the bustle of Sydney and Melbourne, you and your upcoming groom may prefer a more secluded spot. Check out Your Secluded Blue Mountains Wedding at All View Escape! The Blue Mountains are just a couple of hours away from Sydney where you’ll find acres of unspoiled bushland. 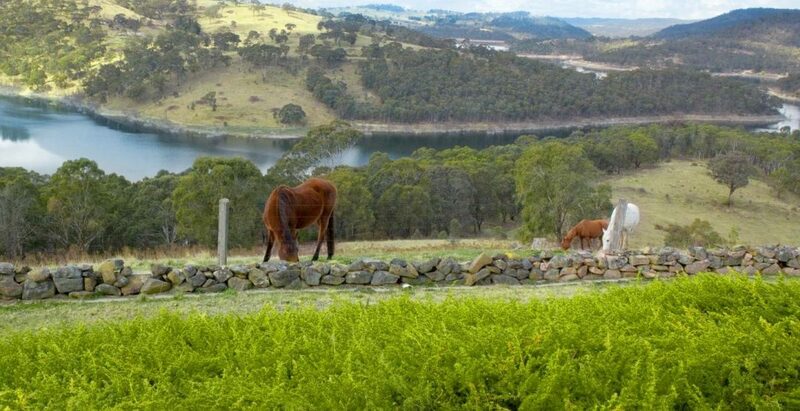 In the Blackheath region, you’ll find a hideaway resort called All-View Escape that’s become a top destination to hold weddings and other events. It’s worth your time to explore this as your wedding location since you’ll be miles away from the chaos of city traffic. Here’s a detailed look at Blue Mountains All-View Escape as a place to unwind and freely choose the wedding entertainment you want. It’s not always possible to find locations like this open during every season. All-View Escape opens their resort year-round so you can plan your wedding event here at any time. Even during the winter, the views are still spectacular. With beautifully landscaped grounds, they’ve done a masterful job at leaving much of the natural environments intact while providing luxurious spots to hold your wedding. The views of nearby Grose Valley are especially notable. Also, Mt. Hay is an awesome sight, giving you a field day on wedding photography. With plenty of open spaces around you, it’s possible to do virtually anything at your wedding party without disturbing anyone. While you have cottages for guests nearby, the 20 acres of gardens and lawns give you scrawling space to put together a wedding event of a lifetime. It’s here where your guests have plenty of space to mingle, visit, drink, and eat. You’ll also have an open environment for your favorite wedding entertainment. Choosing a wedding band (or a wedding singer) is always important to set the right mood. Here, you’ll have a stunning natural setting to make the music played a unique experience. Those of us at Lily Road can help you find the perfect wedding entertainers to perform in environments like this. Just imagine being able to play your favourite songs for weddings as loud as you want (and for as long as you want) without worry about disturbing other guests. Having nature around you just adds to the splendour of hiring wedding entertainment in the All-View Escape grounds. What Kind of Cottages Will You Have? All-View Escape provides two notable cottages, one called Malie’s House, and the other called Isabella. In Malie’s House, you’ll have five bedrooms accommodating up to eleven people. Even if you and your spouse are probably the only ones sleeping here, the cottage offers a spot for additional partying. If the weather is overly bad, you can take your wedding party here into the large lounge room or dining area. Along with a well-stocked pantry in the dining room, you’ll get large room space to bring in your wedding singers. The acoustics are great to hold a party for 30 people. As an intimate setting, our Lily Road Band enjoys playing venues like this to make the singing and music more of a one-to-one experience. Nearby is the smaller Isabella cottage. It has only four bedrooms, but also has a sizable dining and lounge area for smaller gatherings. Your wedding singers can easily perform here as well in a comfortable setting. Some of the technological innovations in this cottage include under-floor heating to keep you warm during cold mornings. At Lily Road, we’re here to help you find just the right wedding singers to perform at your All-View Escape wedding. Visit us to learn more about our services and to peruse our reviews.